Nov - 10 | By: OMPA | no comments. SourceOregon is a statewide directory of industry professionals. 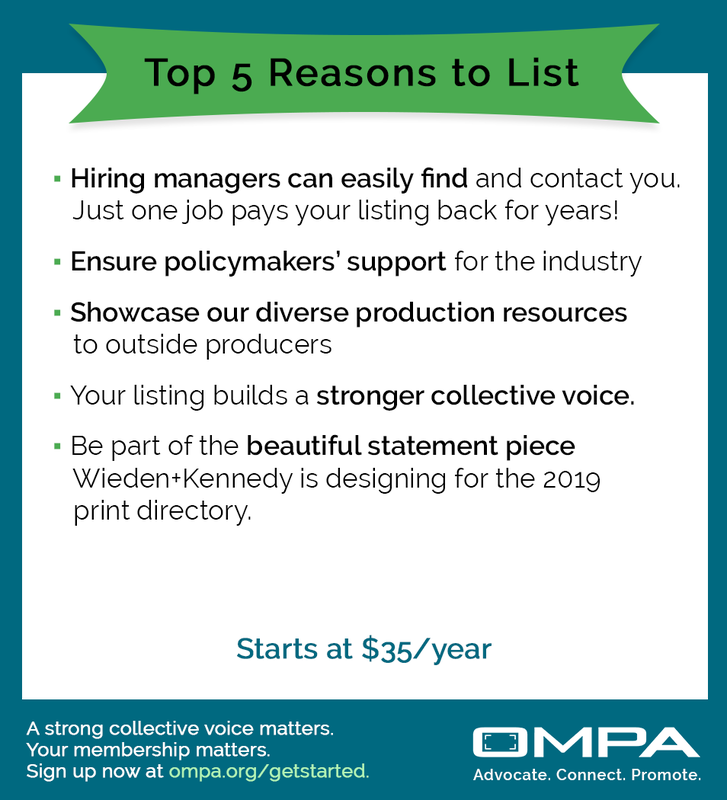 It’s a great way to get found for your services, but it’s also OMPA’s best promotional tool to advocate for the industry. Show policymakers how many jobs are at stake! Create a listing at sourceoregon.com/getlisted. Deadline November 15. If you have any questions, I can be reached at [email protected].